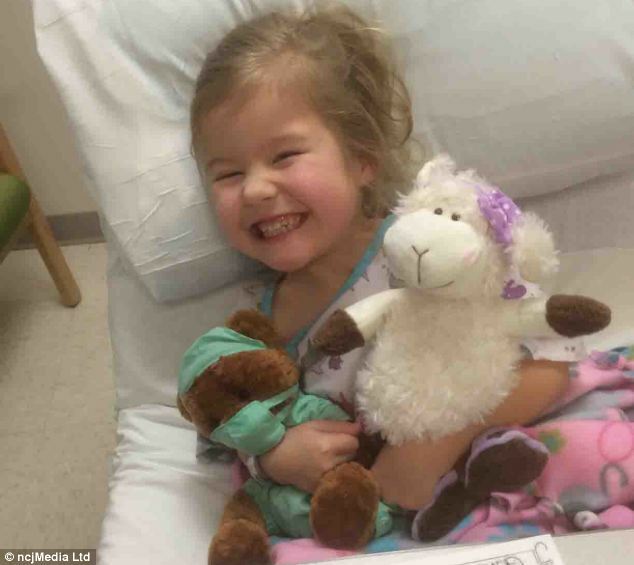 Girl, five, undergoes pioneering surgery to let her walk after her family raise £42,000 for an operation in the U.S.
After months of tireless fundraising a five-year-old has undergone surgery that will change her life. 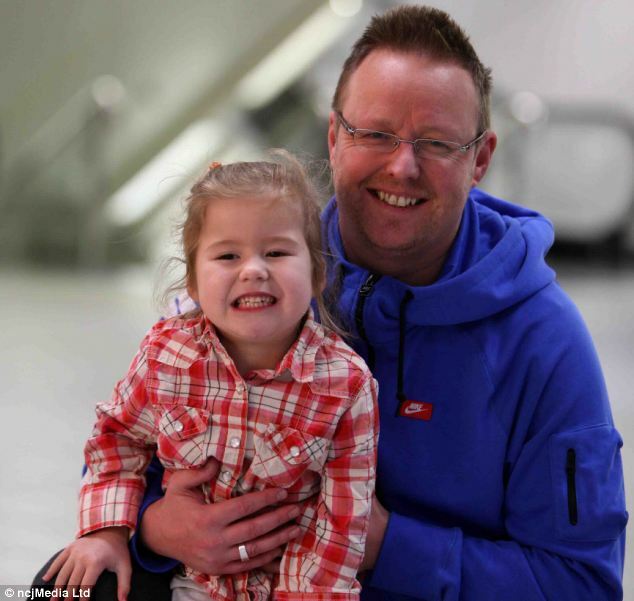 Lily Ketteringham has cerebral palsy which meant she was unable to walk without a frame. However, she has now had pioneering surgery to enable her to walk normally at St Louis Children’s Hospital in Missouri, U.S. The surgery, called Selective Dorsal Rhizotomy (SDR) surgery, was only available in the U.S. until recently. It is now being performed at a few hospitals in the UK but according to NICE guidelines Lily’s hips are too far out of position for surgeons to operate in this country. Speaking from America, Lily’s father, Steve, said the surgery had gone ‘well’. 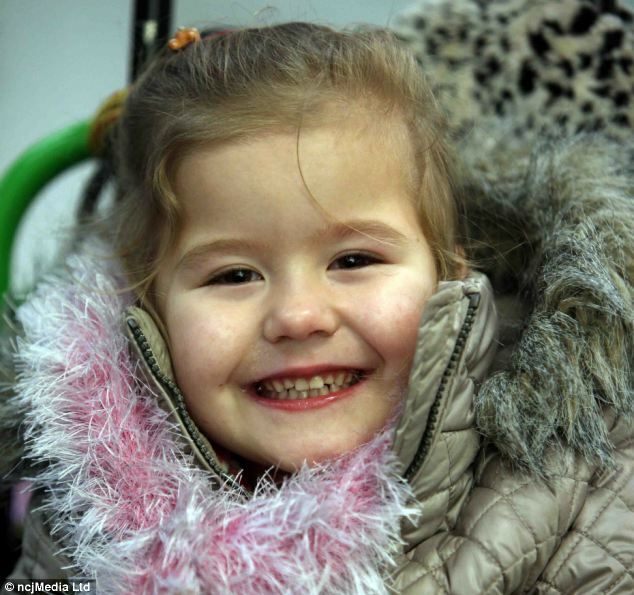 Lily and her family left the UK on Friday and she underwent the surgery on Tuesday. Mr Ketteringham, 41, of Newcastle, said: ‘The operation went well and there were no problems. Lily had some back spasms last night which was difficult to see. Lily, who was born 10 weeks early, hasn’t been able to walk or stand unaided since being diagnosed with spastic diplegic cerebral palsy at nine months old. 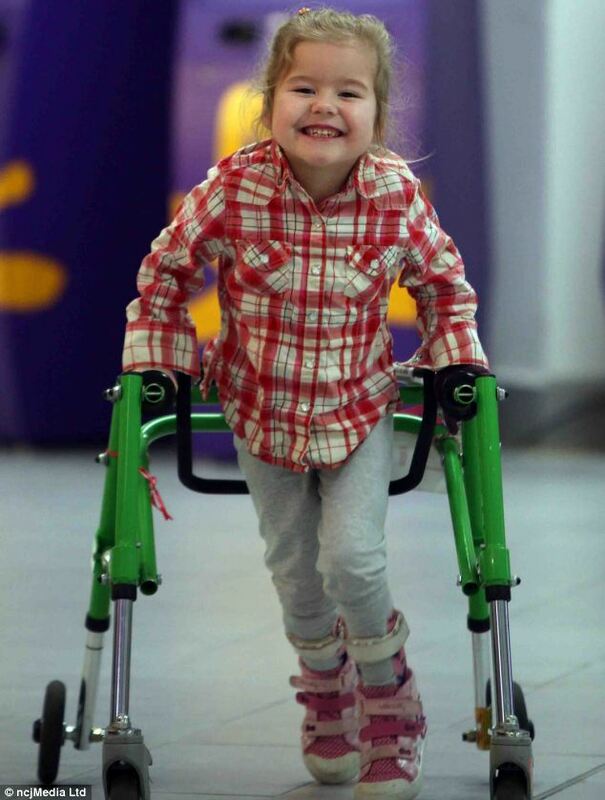 However, her friends and family helped raise £42,000 to allow her to have the SDR surgery. The operation is a neurosurgical technique used to treat spasticity (increased muscle tone) in the lower limbs. It involves opening the lower vertebrae to reveal the spinal cord which contains the neurones of the central nervous system. During the procedure, electrical stimulation is used to identify and sub-divide sensory and motor nerves. Mr Ketteringham said: ‘When we met the doctor he assessed Lily and told us she would be an independent walker and will probably take her first steps within a year. Mr Ketteringham and Lily expected to return to the UK on February 23 and Lily will start work with her physiotherapist at the Heel and Toe Charity in County Durham.